Among the many ways that the League of American Bicyclists advocates for bike safety is their training of League Cycling Instructors. 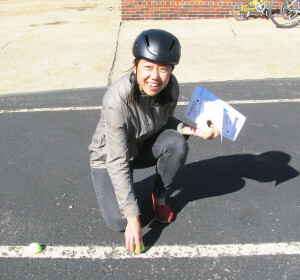 These instructors are certified to teach Smart Cycling classes to both children and adults, with the goal of helping people feel more secure on their bikes, and to ensure that bicyclists know how to ride safely and legally. In mid-October, Trailnet hosted League Cycling coach Preston Tyree and twelve candidates at a League Cycling Instructor Seminar. The seminar provided three days of intensive training that included both classroom instruction and on-bike skills development. All of the candidates were experienced bicyclists. The seminar provided them with techniques that they will use to share their knowledge with less-seasoned bicyclists. 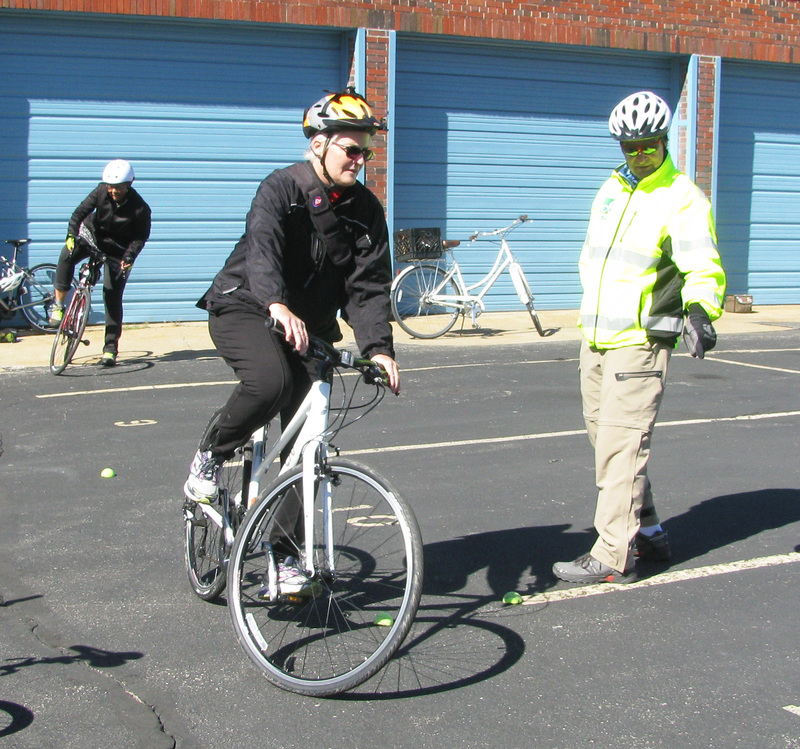 Most of the seminar participants were St. Louis residents, and it is Trailnet’s hope that these instructors will provide grassroots instruction in their communities to help bicyclists improve their skills and confidence levels. All of the seminar participants were evaluated by Coach Tyree and local League Cycling Instructors. Each participant made several classroom presentations, and was also evaluated for their competence at performing on-bike handling skills and safely negotiating traffic. Candidates plan on using their certification in a variety of ways. Some wanted to become certified in order to help their communities or workplaces to attain Bicycle Friendly status. Some were already working with youth or adults and hope to broaden their capacity to help other bicyclists. All of the candidates shared a passion for bicycling and a desire to spread their enthusiasm. Trailnet thanks Kaemmerlen Electric for providing us with a parking lot on which to practice bike handling skills, Papa John’s for donation of pizza, and The Fountain on Locust for welcoming twenty hungry cyclists with indoor bike parking and a fantastic lunch. Special thanks to Great Rivers Greenway for funding the seminar and to Ariell Heacox and Preston Tyree of The Bike League for their support and excellent coaching. Finally, congratulations to all twelve of the candidates who successfully completed their certification. We appreciate your hard work and dedication and know that you will be valuable resources for other bicyclists in your communities.